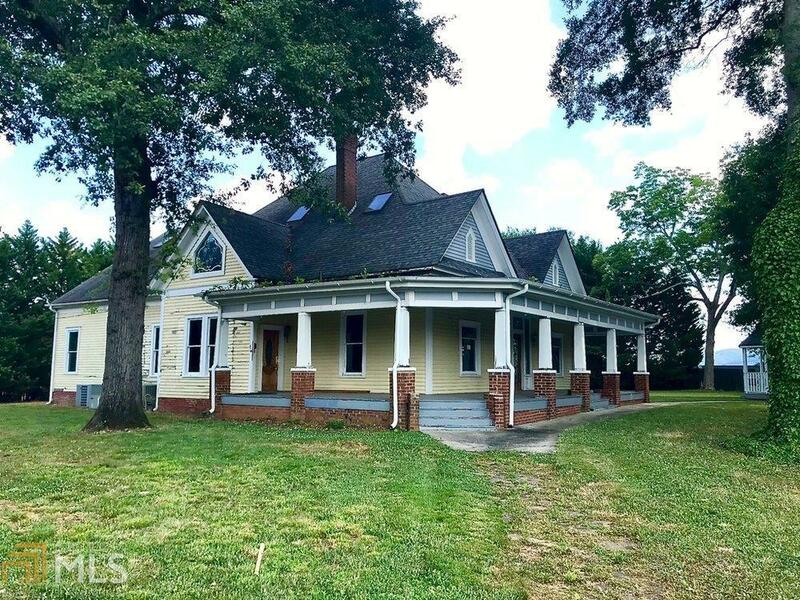 Huge Victorian-era house at highest point in downtown Kennesaw is waiting for new owner to make it their dream home. .96 acre lot only 700&apos; from Main Street! Wrap-around porch overlooks picturesque grounds with gazebo & hardwoods. Imagine family gatherings & lawn parties at this beautiful estate! 5 unique fireplaces! 3rd-level loft open to 2-story foyer & sitting room. Wide center hallway w/ space for huge Master & Guest Suites, large Kitchen & Breakfast Area, Dining & Family Rooms, Office, Parlor, Mudroom, Pantry, half-bath & lots of closets. Upstairs features room for 3 large bedrooms, balcony, 2 full baths, Laundry Room, & Huge Bonus Room (25&apos;x11&apos;). NOTE: Pipes froze in &apos;17, so all subflooring was removed on main in prep for full restoration! Sold As-Is. Directions: I-75n To Exit 271. Left On Chastain Road For 2.4 Miles (Turns Into McCollum Pkwy). Right On S Main Street For .7 Miles. Left On Summers Street. Home Is On Left. No Sign.